[Update] Square Enix now confirmed that Dragon Quest XI will release on PC and PlayStation 4 on September 4th in North America and Europe. New features not found in the original Japanese version will also be in. Check out the first gameplay video of the Western edition below. 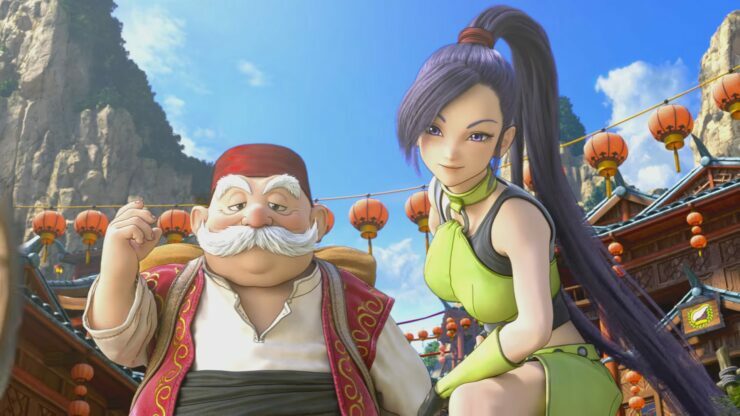 [Original Story] It’s been some time since we heard news regarding the Western release date for the new entry in the Dragon Quest series, Dragon Quest XI, but it seems like we will be hearing more about the matter soon. Finnish retailer Konsolinet is listing Dragon Quest XI with a September 15th release date. As the day is a Saturday, it’s extremely unlikely that it’s the final release date for the game, but there’s still the chance that Dragon Quest XI will be released in the first few days of September, which would fall in line with the Summer release window announced by Square Enix a while back. Dragon Quest XI, which will release in the West as Dragon Quest XI: Echoes of an Elusive Age, has been confirmed for a Western release, but it’s not yet clear if all versions of the game will be released at the same time. While the basic features will remain the same, there are some interesting differences between the PS4 and 3DS versions. The Nintendo Switch version has yet to be revealed. The highly anticipated latest entry to the beloved DRAGON QUEST video game franchise follows the adventure of a hero who must solve the mystery of his fate with the aid of a charming cast of supporting characters. DRAGON QUEST XI: Echoes of an Elusive Age will offer a world of adventure, exploration and instances of heroism— all brought to life by the character art of famed manga artist Akira Toriyama and the memorable music of composer Koichi Sugiyama. Dragon Quest XI launches this year in North America and Europe. Stay tuned for the official announcement.